Springer is a major publisher of academic and professional journals, providing content that supports research and study, and articles suitable for course projects. With the purchase of the Online Archive Collection, UCF would gain perpetual rights to all Springer journals and book series from the first volume to 1996. Many of the included journals were started in the 1800’s, so the 961 titles comprise 34,454 individual volumes. Because the Libraries currently provides online access to all Springer journals from 1997 through to the present, this purchase of would enable UCF to access to all online journal content available from Springer. The Springer Online Archive Collection is distinct from the Complete Springer eBook Collection 2005-2009 that was funded by the Technology Fee in 2009-2010, and from the Libraries’ current journals subscriptions. UCF users are discovering Archive content when they access the eBooks and current journals on SpringerLink. The Online Archive Collection complements the eBooks and the Libraries’ current subscriptions, and would give UCF access to almost all of Springer’s online English-language content. Fair use of Springer content is permitted for educational purposes, including embedding links to the articles in Webcourses. Access would be available to all UCF students and employees, with off campus access enabled by EZproxy. One hundred percent of UCF students and faculty will have access to and will be served by the purchase of the Springer Online Archive Collection. The Springer Archive Collection is online and the content will be available to all UCF students, faculty and staff anywhere, anytime. Students will be able to discover Springer titles through the catalog, on the library Web site, and even in Google Scholar. Springer articles can be discovered in several well known indexing sources including Google. Springer articles are in PDF format and students may print, e-mail, and download articles to read off-line on a cell phone, laptop, or any computer. The Springer Online Archive Collection benefits faculty by providing both literature for faculty research and relevant material for course assignments. Springer is recognized as a leading academic publisher, producing scholarly journals that are relevant and appropriate to university student course work and faculty research. The content will directly support student learning by providing material for course papers, projects, and study. Sample titles from the Archive hint at the breadth and depth of the content that will become available to UCF. Many of the articles are suitable for course readings. The articles can be embedded in online courses and there is no limit on the number of people who can open Springer articles at once. The UCF Libraries is committed to work directly with faculty and the Faculty Center for Teaching and Learning to publicize this collection and its potential use to meet the needs of UCF programs and for course readings. The Libraries will offer informational materials to distribute during various events, such as the faculty development conferences, and will feature information about the collection in newsletters and exhibits. And librarians will instruct students about accessing Springer online journals during Information Literacy sessions. The Libraries will measure the success of the Springer Online Archive Collection through usage data and surveys. Springer will deliver semi-annual usage reports that track which titles were used, and how many times articles were downloaded. In addition, Springer will create charts to reveal trends in usage patterns by discipline. LibQUAL+® and other surveys will be used to assess student satisfaction. For both faculty and students, satisfaction with the Collection content and interface should start high and remain high, and 70% or more of e-book Collection users should report that they are satisfied or very satisfied with the content and system. The requested funds will cover the entire cost of the Springer Online Archive Collection. The UCF Libraries will maintain subscriptions to current Springer journals online, paying approximately $176,000 annually. 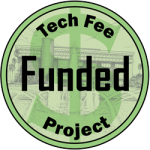 There are no fees for maintaining access to the Archive Collection and UCF will own the content. Once the collection is purchased, UCF Libraries will ensure that access is provided in the catalog and through the online journals system. No space is needed for the project. The Springer Archive Collection is online.